From the beginning, Hog Slat, Inc. has kept one key concept in mind-PEOPLE. Our employees are the fundamental roots of our family-oriented business. As Hog Slat, Inc. grows and expands, we will continue to seek hardworking and dedicated individuals to drive the success of our business. 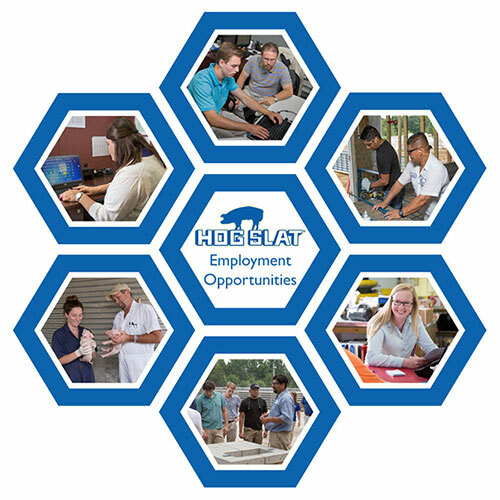 A career with Hog Slat, Inc. can proved a variety of opportunities for involvement and advancement within our business. There’s never been a more exciting time to be engaged within the agricultural industry as it plays a critical role in providing for the needs of people and families worldwide. 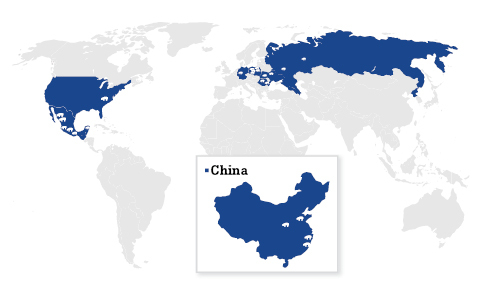 Hog Slat has operations in several locations throughout the U.S., along with Mexico, China, Poland, Russia, Romania, and Ukraine. Georgia Poultry Equipment Company represents the poultry division of Hog Slat and is engaged in providing equipment, parts and services to poultry producers worldwide. TDM Farms is Hog Slat’s connection to the heart of the swine industry. 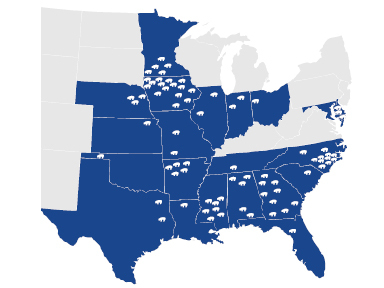 Our network of live hog production farms allows us to stay connected to the swine production industry at the grass-roots level which allows us to design the highest quality equipment for our customers. TDM Farms operates in North Carolina, Indiana and Illinois raising aproximately 23,000 sows in this area. TDM Fams also has feed mill and nursery/finishing operations located in the Indiana region.